Ted Tanner is Co-Founder and Chief Technology Officer of PokitDok, which offers a platform-as-a-service for healthcare organizations. PokitDok is based in downtown Charleston with an office in San Mateo, Calif. The majority of its 50 employees are in Charleston. Charleston – born, bred and red. As a matter of fact, my middle name is Calhoun. Lowcountry living. Oak trees. There's nothing like moss in the oak trees, and the pluff mud, and the salt water. It's spectacular. The impenetrable beauty of the humidity and the heat. And how spectacular the fall is here. In your own words, what does PokitDok do? We build the operating system for the business of health. Just like Apple and Microsoft build an operating system that you build stuff on. The whole premise is shop, book and pay. Find me a doctor close to me with these attributes. Give me a price. Let me book it. Let me go in and get out and pay for it. We have 10,000 cash prices across 48 urban areas. We know the market-making price of a health service. We also took all these so-called electronic medical records, and we integrated a bunch of those and made it easy for developers to write software on top of them. We had to go make a payment backbone because companies had no way to clear a payment really quick, like PayPal. The next thing we built was an algorithm to compute the propensity for a consumer to pay for a service. Given all these variables that we have now, can Jane Doe pay for a service? The other thing that we did that's a big problem in health is something called identity management. Who is Jane Doe? Who are you at any given time? Wouldn't it be great if you could just walk into anywhere in the world and your health record is with you all the time, with context? We've brought great security metrics to all of this stuff. Thirty-five to 40 percent of data that's in health is unencrypted. That's what we do. We have about 700 third-party applications that are built on us. We looked at the data and we said, "The health industry has legacy technology that's been around like 30 or 40 years. It's legacy infrastructure. And it's broken from a personalization standpoint." I said, "There's no Yelp meets Priceline for health. Nor is there a platform that you can build applications on top of, like an operating system." There was no concept for APIs, there was nothing that hid the complexities of the back end of health processing. And it's overly complicated. This was about 2009. Around 2011, on that premise, we founded PokitDok. If you think about it, the human machine is the most complicated that we know of in the universe, yet when we go to get it fixed, we have no idea how much a strep culture costs. It's the only machine that is most personal to us and our loved ones, but we don't go in and ask, "Well, how much is it going to cost to fix my broken leg?" When everybody knows full well how much it costs. We founded the company on that premise. What obstacles have you faced building your business? It's a 40-year-old legacy industry. We have a saying here: Two Cadillacs and a house. People would prefer to keep their two Cadillacs and a house than do the right thing in the health industry, which is help the consumer. Figure out the business model first because nowadays you can figure out the technical stuff really quick. Understand product fit. Understand market fit. And then get somebody and just start coding your brains out. Desire what you already have even more. Desire and love the fact that you get to do something so spectacular every single day, and get on it really hard. Stand up a GitHub, stand up a LinkedIn account, and contribute to as many open source projects as possible. Be passionate. Assume everything is broken all the time because there's no such thing as perfect software. Love your hobbies. Go hard. Keep plowing the field. We believe that software is scalable, and I don't believe in having huge companies. I want to give back to the team. I truly work for everybody here. I never turn off. We have an interesting policy of infinite vacation time. We don't have a schedule, but we have things to do. We've been criticized for being too intense. We work in the health industry. We want to make sure stuff works all the time. This is a serious business. Building complex stuff that never existed before – that's not serious? I take my position as a co-founder and CTO very seriously. My co-founder, Lisa Maki, and I have raised $54 million. 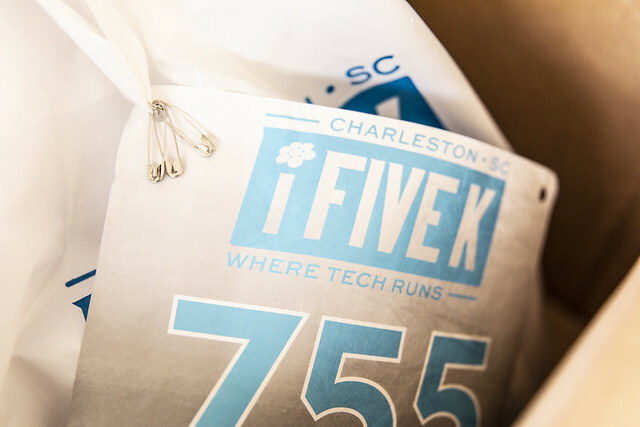 We've hired 70-something people here in Charleston – through attrition people change. One of my tenets in a leadership role is to amplify people's careers. Our secret weapon has been Charleston. People in the Valley are asking for way too much money, and they're acting entitled. I literally was out there a month ago, and I heard these people saying, "Hey, are you going over to Corporation X? I heard they raised a Series A and they have an on-staff chef." Make a peanut butter and jelly sandwich, man. They laugh. Certain types of hobbies. Whether they're passionate about building software. It ends up we have a lot of triathletes, black belts in karate, really advanced musicians, former soldiers and former Rangers. Highly creative, highly complex people. But at the end of the day, people who love trying to do the impossible. If you do what you love, there's no such thing. How to Read a Book. It's amazing. It'll make you feel completely stupid. I don't go to Starbucks. If I do, it's an unsweetened tea. I love my family and friends. I work out every day. I surf. Do you have a morning routine or ritual? Yes. I fill a mason jar glass up with half water. I put an Emergen-C in it. I take a BC Powder. I take an Aleve. I take something called a neurotropic vitamin. And I drink a mason jar full of tea. Then I go work out at the Medical University of South Carolina. Then I come in here. My executive assistant, Betsy Dalton, gives me a rundown for my stuff today. I usually write on the white board what I'm thinking about, and I start my day. The end of the day is how thankful I am that I get to do this every day and come home to my family. I want more collaboration in Charleston. I have tried over the last 10 years to get more collaboration. We've had several meetups. We sponsor things. Every time I show up and we show code, we show ideas, people go, "Well, we can't talk about what we're doing." Really? Really? Most people are just jamming stuff in a database. The first artificial intelligence meetup at Stanford that we went to, PokitDok did, and sponsored it, they had 1,100 people register, 800 people show up. And this wasn't even a conference; this was just a meetup. It was a madhouse. People started writing on boards and talking with each other and everything. We can't get five people to show up here. I've watched the ecosystem grow from, like, 100 companies to let's say 500 now, maybe. And there's just no collaboration. What do we lose by not having that? Resilient infrastructure to change and cross-pollination of ideas and business, and monetary incentive, and talent acquisition. A lot of people have moved here from the West Coast. Our secret weapon here in Charleston was the fact that a lot of people moved here for lower cost of living. That's changed now, that's over. Workplace arbitrage is over and you can get a job anywhere remotely now. So the only other thing left to do is collaborate and show up with the goods.